The arched opening of the Georgian style mantel gives it it’s name. 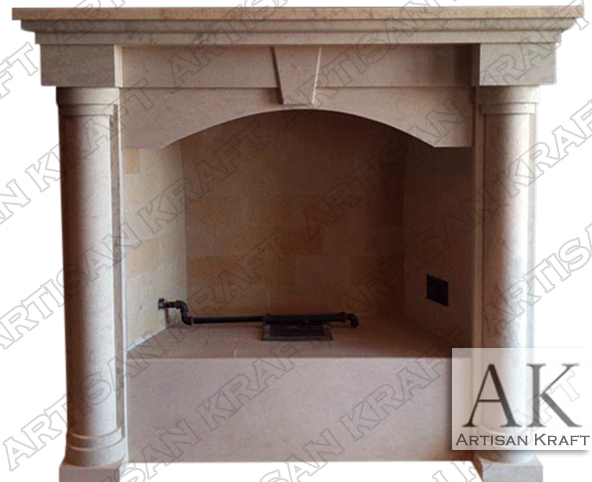 The Colonial marble fireplace is made in the Georgian style. It can also be made with a non-arched firebox opening. Columns are simple Tuscan. 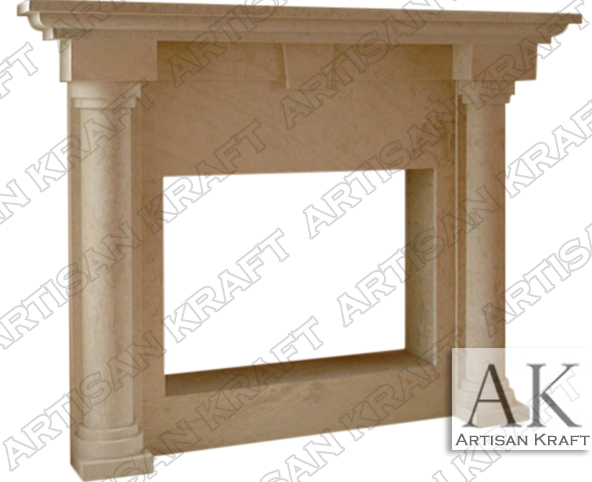 Typical Dimensions: 60″ wide x 50″ high *can be made to custom dimensions. Material: Cast Stone limestone, GFRC, sandstone, marble etc. Available in many different colors, textures and finishes.